If somebody asks us what is the most common mistake that couples make, we say that they wait for too long. Too long to seek help from a professional psychotherapist. One should not wait for too long for it to go bitter. The question is can relationship counselling be of any help? Can it help reduce the negativity around? Can couple counsel clear the air between two partners? 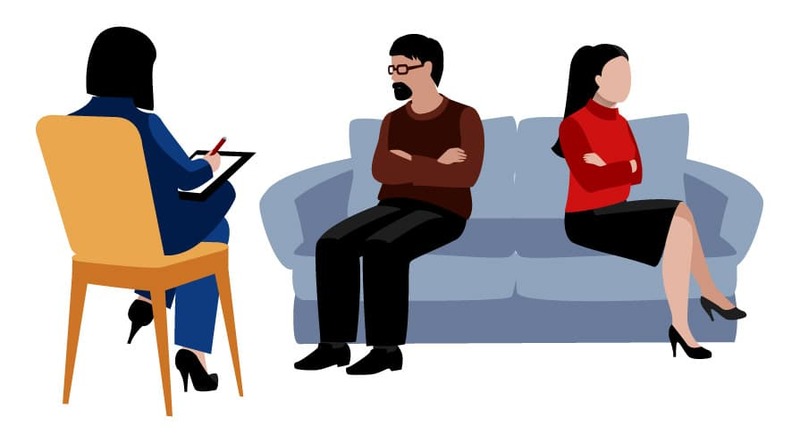 But how do we know that we need a psychotherapist? Or, just talk to someone who can find a way out to resolve issues. You don’t need to pretend them anymore that the issues don’t exist. Rather we suggest that you book an appointment with an online counsellor at OnlineCounselling4U, so that you can talk about your issues. So, when do you know that you need to talk to a couple counsellor or an online relationship counsellor? Have you ever wondered about the signs in a relationship that tell you that you need a relationship counselling? Don’t worry! We will tell you. Step by step. And, if you notice any of these signs, know that you need to connect to a relationship counsellor. 1. You never talk but it is just fighting. You and your partner have difficulty talking and resolving your conflicts. Whenever there is a talk, either side gets too emotional or upset. You feel you have entered a battleground. Trust us, you need to connect to a relationship counsellor immediately. A good counsellor, preferably online counsellor, so that you can take time and think about resolving the issues without ending up in an argument. 2. You never bring up difficult issues. Certain problems you tend to ignore and never bring them up because you know you are too scared. Here, a relationship counselling will help you address the most difficult parts with ease. A counsellor will help you develop a coping strategy. 3. You have got questions if you love your partner any more. Sometimes, it is difficult to know your true feelings because you are undergoing a lot of stress. It doesn’t mean you have fallen out of love but feels misplaced. Seeking the help got relationship counselling Expert will not only take a huge burden off your chest but also make sure you talk openly. Basically, with help of relationship counselling, you get space to think what you need to do. And, everything is done confidentially so that you are not hesitant and talk freely. We suggest talking to one of our trained relationship counsellors via chat, phone or email service. We are there to help you.